Ryan Gable’s second book examines religious history and tradition to parallel both institutional religion and pagan rituals, and to expose the darker side of modern religious practitioners who scoff at their pagan roots. Part of this is the uncovering of a worldwide network of narcotics, weapons, and human, trafficking from Presidential bloodlines to Buckingham Palace and the Vatican. Other subjects include conjuring and the origins of communion. Ryan will throughout attempt to bring balance back to the world of male and female symbolism. 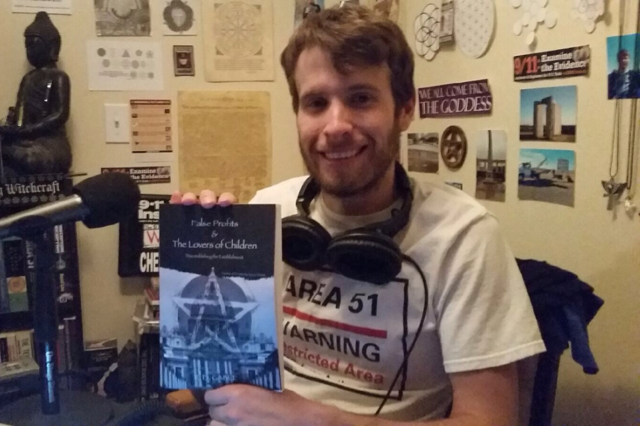 Hi Ryan Great shows and website you really do the research anyway I have recently donated $10 and I would love a copy of False Profits & The Lovers of Children. Thanks.